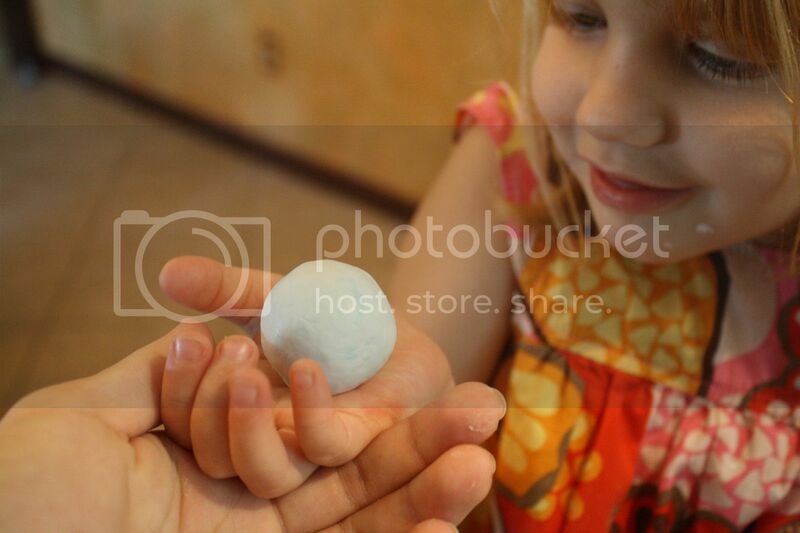 Just like the uses of borax there are a million tutorials on how to make your own bouncy balls...we used this one. 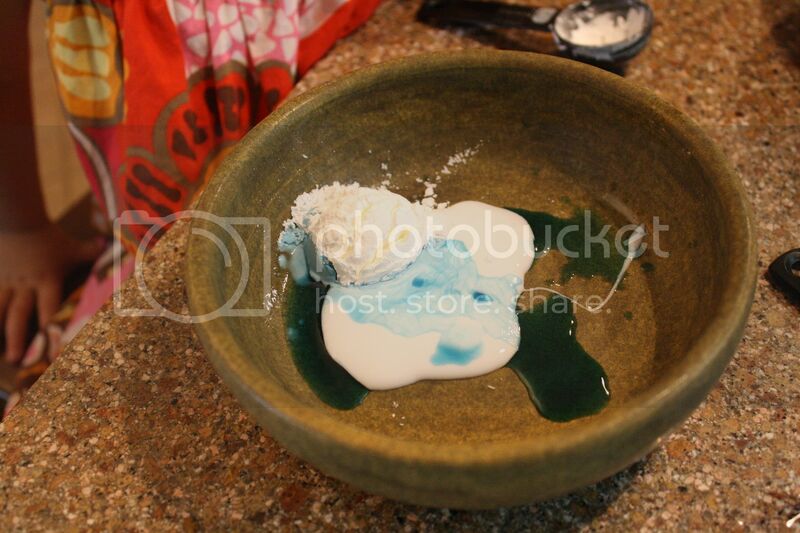 Mix 2 Tbs of warm water with 1/2 tsb of borax and mix until borax is dissolved. (Add food coloring if you want your balls to have color.) Set aside. 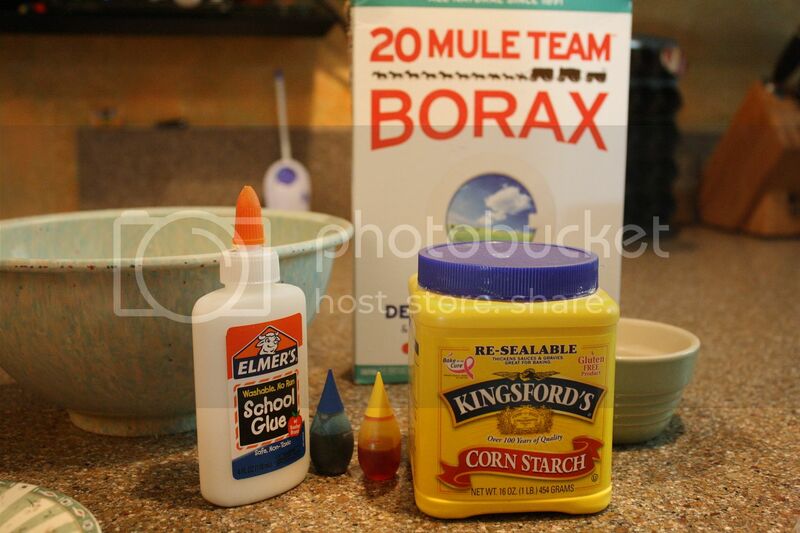 In a separate bowl mix 1 Tbs glue, 1 Tbs corn starch and 1/2 tsp of the borax mixture. Mix together with a spoon mashing the mixture to break up all of the corn starch. Mash and mix until the mixture is clumped together as a sticky mess. Take clump out of bowl and begin kneading it into a ball with your hands. Mixture will be really sticky for about 5 second but will harden into a dough quickly. 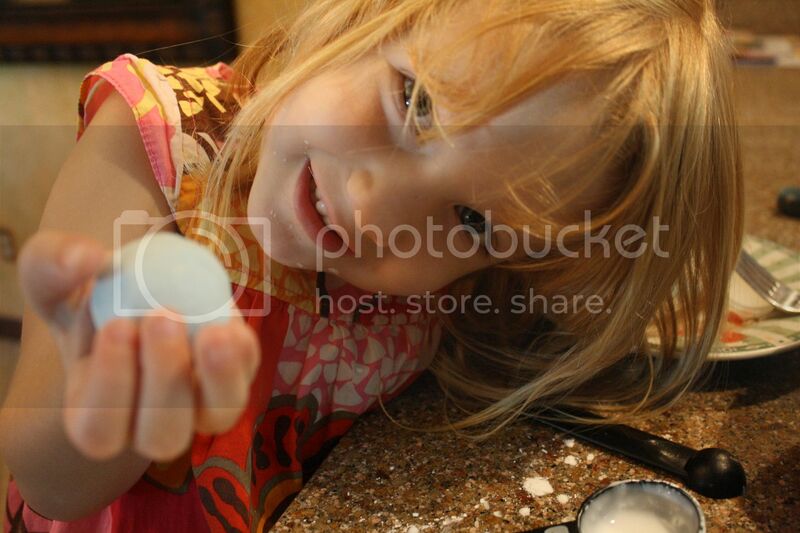 Once mixture is in ball form let it dry for a couple minutes and then bounce away. Dough will not dry completely and if you let it sit out it will begin to crack. If you want to play for days, keep dough in a bag in the fridge. Enjoy!